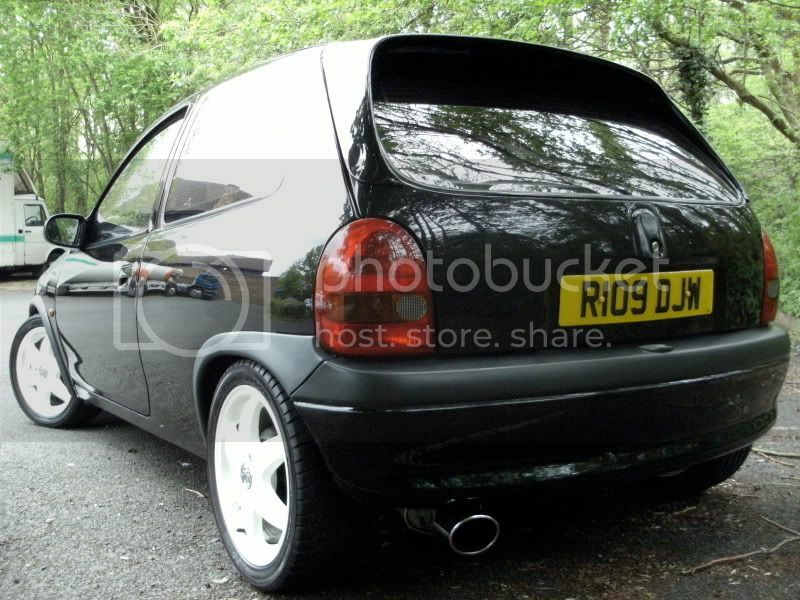 Corsa Sport » Message Board » General Chat » Projects and Builds » My black Corsa 1.2 on Cesaros! 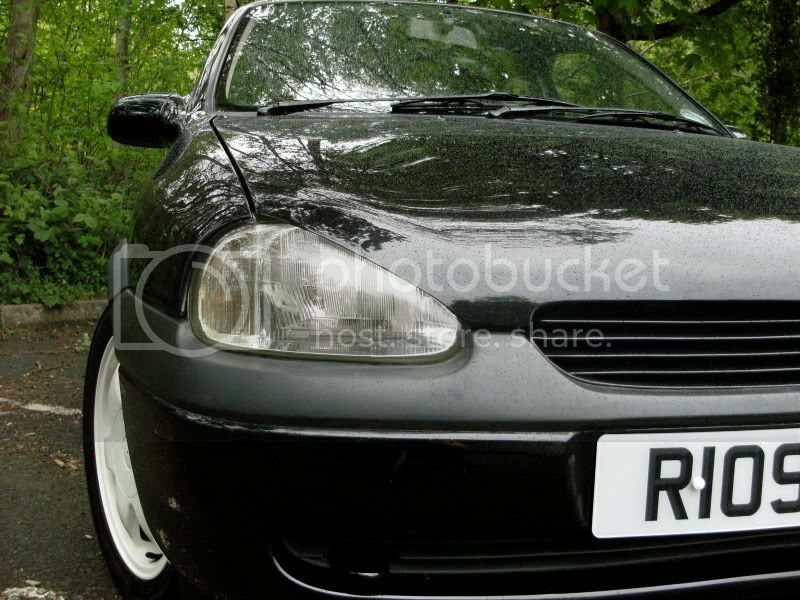 Author My black Corsa 1.2 on Cesaros! Hi, I'm George, had the car since September, passed in Feb! It came from Sean-B with quite a few mods, accomplished by both him and myself. It had, colour coded interior and exterior, calibra seats and door cards, Gsi wheel. 1.6 breaks. Bad-boy bonnet, and various other small mods. Cheers Sean! Then got the GSI front bumper! 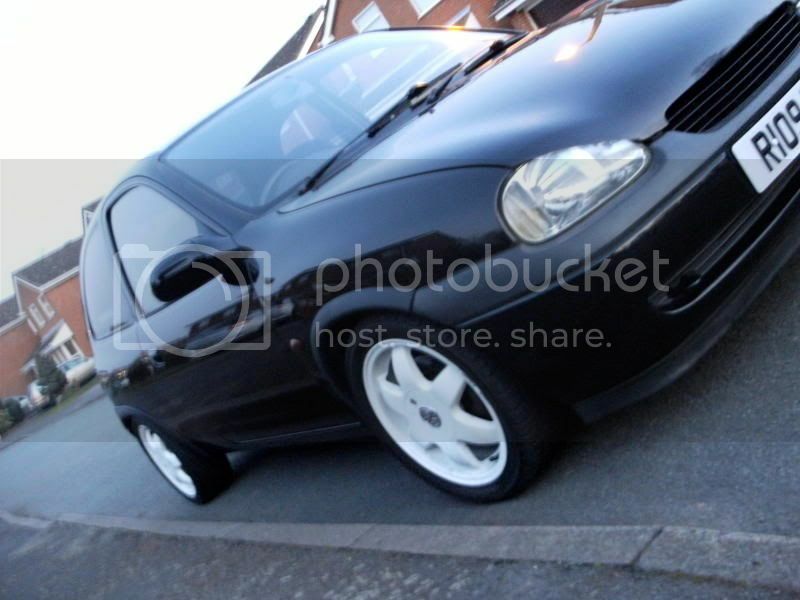 Then came along the Cesaros courtesy of Lees_corsa! Re-sprayed front and back bumpers, and arches. Learn to drive the thing! Roll on Feb! How different does that look now. Didnt recognize it at first lol Great base to start with mate and the plans sound good! Here we are, finally a 'Premium Member'! Got the car lowered now, a drastic improvement wouldn't you agree!? I have my test in three weeks!! Wish me luck! Haha I have been told this many times before. However, you don't know whats lurking behind! Well spotted sir! That tyre was actually bald, it was pre-placed shortly after the photo anyway. Dont tell me they were painted with the covers on? tut tut! Ah cool man thanks! Sean-B lives 30 seconds from my house, so it looks like I have a network of helping hands! Same applies to you, once I've passed! I'll hopefully be driving to the next meet! HAHA I know yeh! Great isn't it! yeah at least teh guys going to pay up tho, im suprised he didnt try and get away. Ok here's an update on my progress! It's nice to be able drive to locations other than the top of my drive and the bottom of my drive! I passed! I'm toying between getting my GSi sprayed, or should I get GSi rep skirts? Perhaps you can help on this? And what do you reckon? 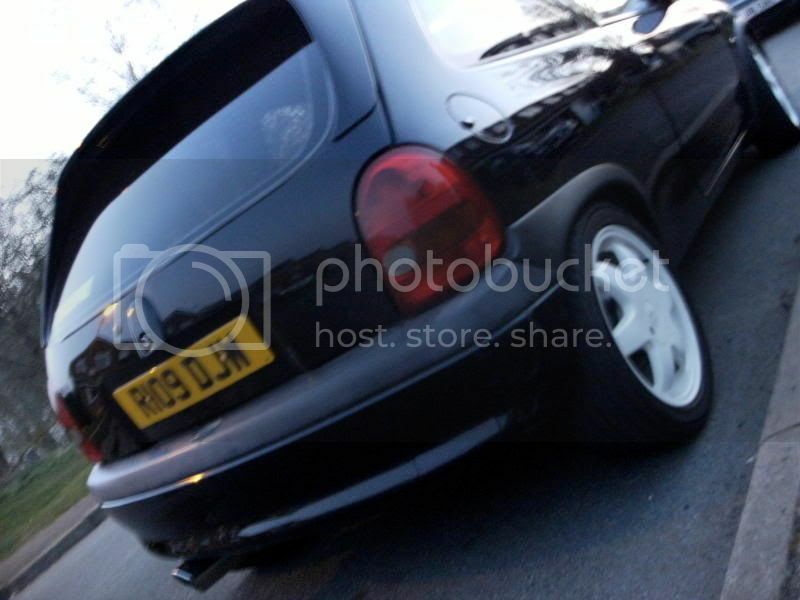 GSi rep skirts next I think bumper looks too low without them, I know from experience! looking very nice mate!! what Sean said! cant wait to see this on the 7th june!! keep up the good work!